Last night the Chicago Heights City Council voted to make our Ashland/Smith Park Field House a local Chicago Heights Landmark. We are so proud to add this great building to the city’s esteemed list. What could be better? Glad you asked, because I’ll tell you. It has a group of caring individuals, which include local alderman Sylvia Torres, as well as the blessing of the Park District which will carry it to a positive future for our community. So, here is a bit on its history. 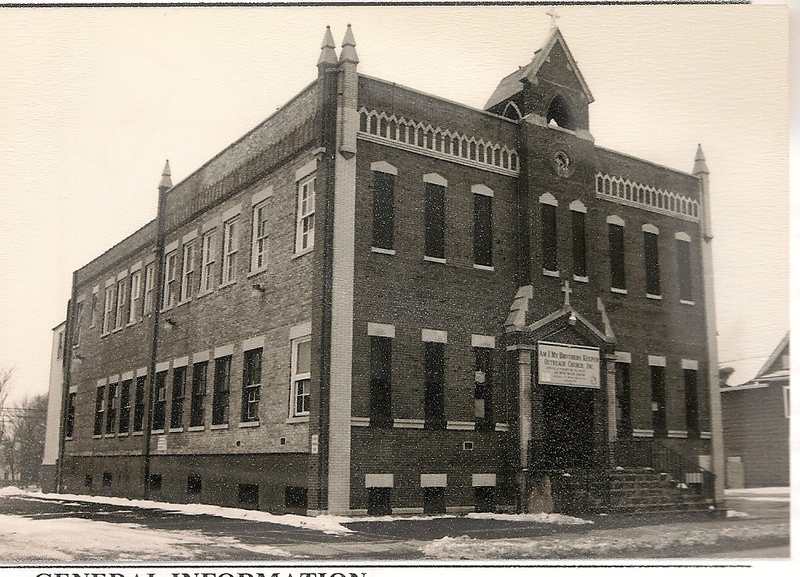 The Field House, at 1432 Ashland Avenue, was built in 1926-27, it was dedicated on May 2, 1928. Historic shot (1930s?) of West façade. Note the little bell in the upper niche. 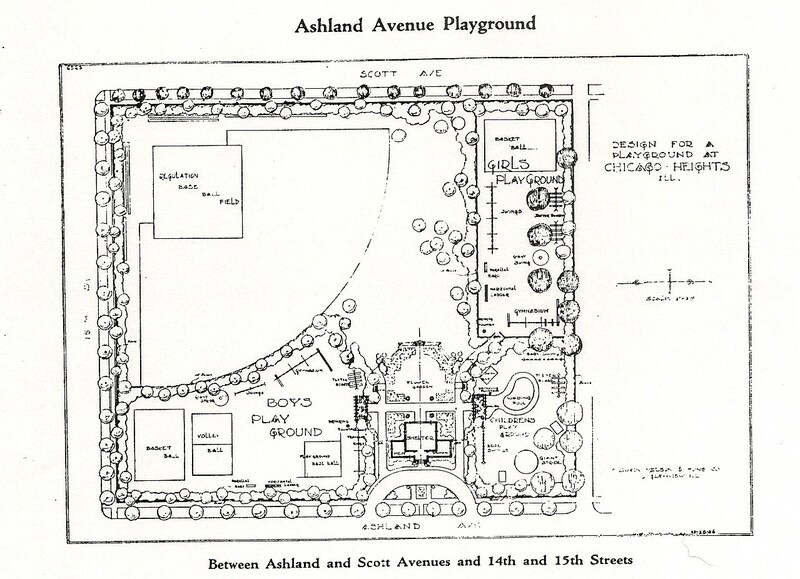 Originally named the Ashland Avenue Playground, the park was the third public park developed by the Chicago Heights Park Board. In 1926, 4.082 acres of land was purchased from Horace M. Scott by bond issue for $17,000. Mr. Scott was an alderman and business owner in Chicago Heights who lived at 14th and Scott Avenue. Thomas J. Smith, whom the park is now named for, was a resident of Chicago Heights whose athletic achievement began through the Chicago Heights Park district. The original landscape design and plantings were done by the notable Swain Nelson and Sons Company, a Chicago landscape firm known for designing Chicago’s Lincoln Park. (How cool is that? VERY. )They were also responsible for the plans for our Jirtle and Lincoln Center (King) parks. The cost of the park is recorded at $23,264. The Field House is one of those outstanding buildings that have both architectural and historical merit as a local landmark. Based on our Historic Preservation Ordinance, a landmark must meet one of eight criteria plus have integrity. The Field House meets FIVE of the eight criteria. Most of this structures’ original materials, elements of design, detailing, and craftsmanship remain and it retains the spirit and overall character of style of the original design. 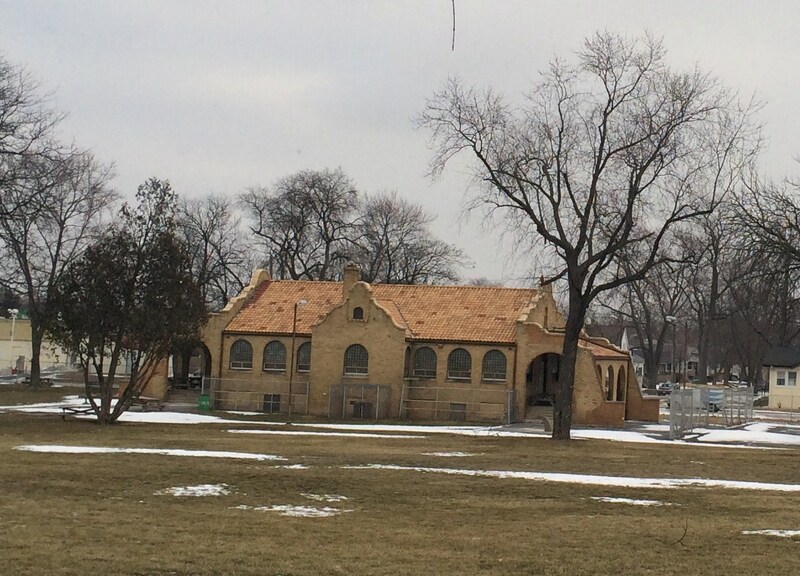 The Ashland (Smith/Scott) Park Field House (referred as Field House) is an exceptional example of the Spanish Colonial Revival style of architecture of which a limited number of examples are found in Chicago Heights. If you’ve got one, it is special, so don’t junk it up. The Spanish Colonial Revival style of architecture is a revival of the Spanish Colonial architecture popular between 1600 and 1840. 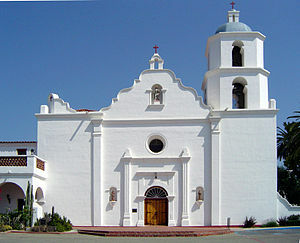 The Field House shows a vernacular adaptation of the style of Mexican Baroque churches and missions as seen by its similarities to the Mission San Luis Rey, built in 1811 in what is now Oceanside, California (Now a National Historic Landmark). The Spanish Colonial Revival style was most popular between the years 1915-1940 after being highlighted at the The Panama–California Exposition of 1915 held in San Diego, California. 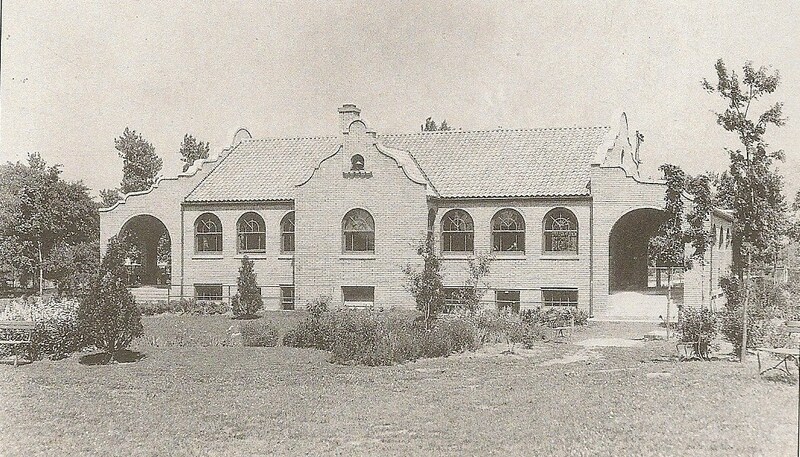 The Field House exhibits the common style characteristics of the Spanish Colonial Revival style of arched openings, red-tiled roofs, loggias, low-relief carvings highlighting windows, curvilinear and decorated parapets and brick façade. Most of this structures’ original materials, elements of design, detailing, and craftsmanship remain in the Field House. That which does not, can – and should – be replaced. Even if it takes time. 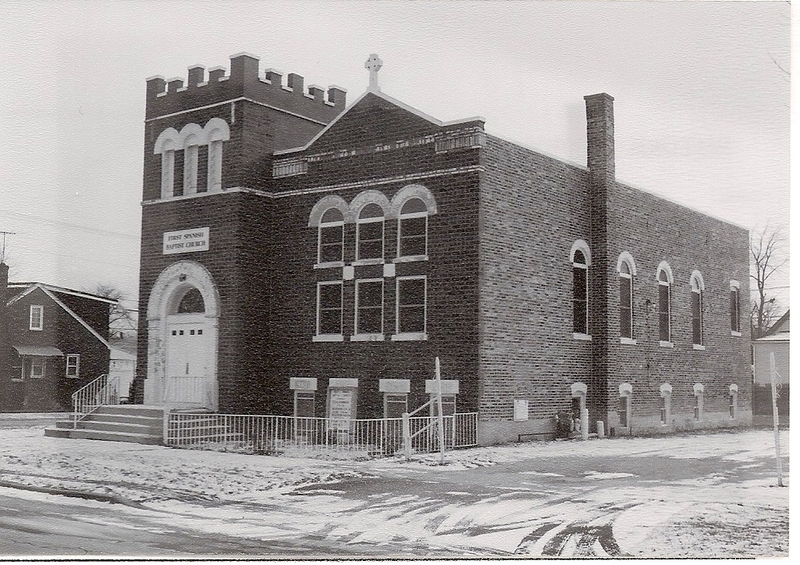 St. Casimir/My Brother’s Keeper (275 E. 14th), and the original First National Bank building at 1651 Halsted (demolished), as well as buildings in Chicago. One, the Swedish American Telephone Company Building (5235-5257 N. Ravenswood, 1901) is listed on the National Register of Historic Places. You can find a picture of if here on the Edgewater bike tour. Set on 14th Street/Lincoln Highway, the field house has become an established and familiar visual feature to the City of Chicago Heights. Whether you are a new resident, life-long resident, or just pass through along the historic Lincoln Highway, this structure – because of its architecture and setting – is a visual landmark. The Ashland Park Field house remains just as much of a focal point of the city today for park users, as well as a resource to add interest and uniqueness to all who pass though Chicago Heights. 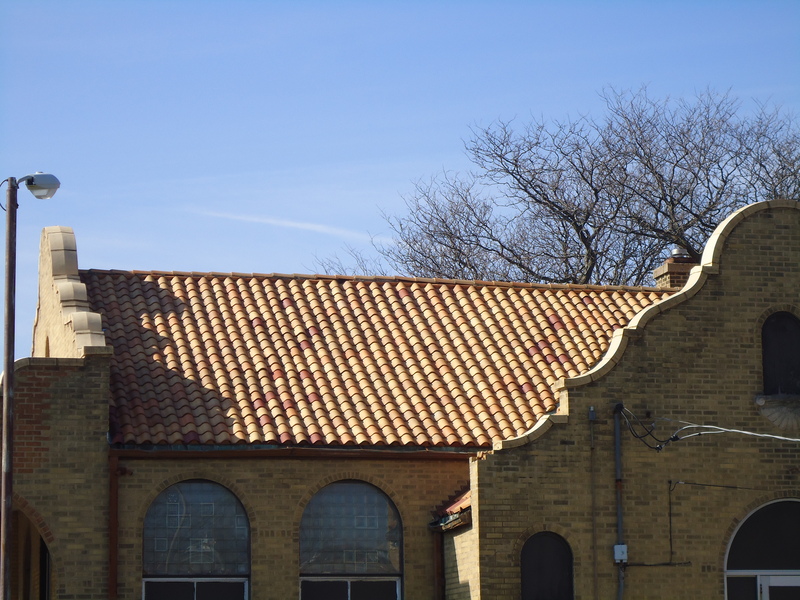 As a product of its time, the Ashland Park Field House speaks to Chicago Heights and the then new Park District’s prominence in the 1920s. Several parks were built and planned to serve the growing population of the city. Additionally, since the 1890’s immigrants have come to Chicago Heights to find jobs and build better lives. A large part of Chicago Heights residents are currently of Hispanic heritage and this building can help celebrate that part of the cultural heritage and development of Chicago Heights. The next steps here are for those caring individuals, groups, residents, neighbors, businesses, the Chicago Heights Preservation and Beautification Committees, and Park District to come together to work on allocating/finding additional funds for maintenance and rehabilitation so this building can really start playing the part of the loved local landmark it is. We will keep you posted on future events.